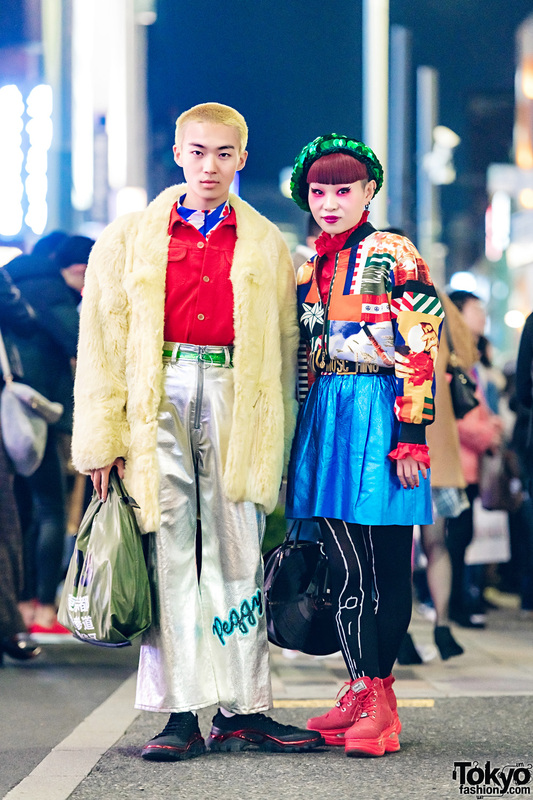 Harajuku duo in avant-garde street fashion with faux fur coat, printed bomber jacket, metallic flared pants, skirt over skeleton tights, black sneakers, platform red sneakers, bags and a sequin beret hat. Harajuku girl in checkerboard skirt with long jacket, cropped zipper top over mesh top, platform ankle boots, fuzzy beret and accessories. 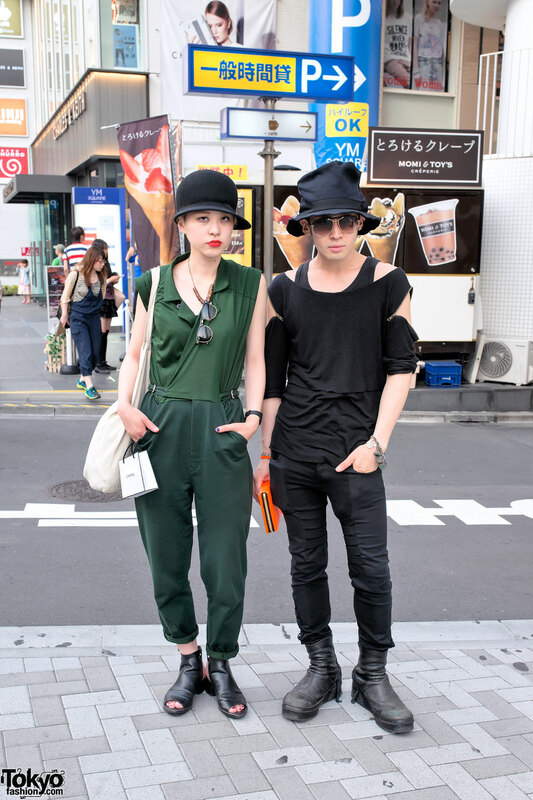 Harajuku guy and girl in all black fashion with vintage blazer, zipper tube top, track pants and boots, hoodie sweater, DIY ripped pants and black sneakers. 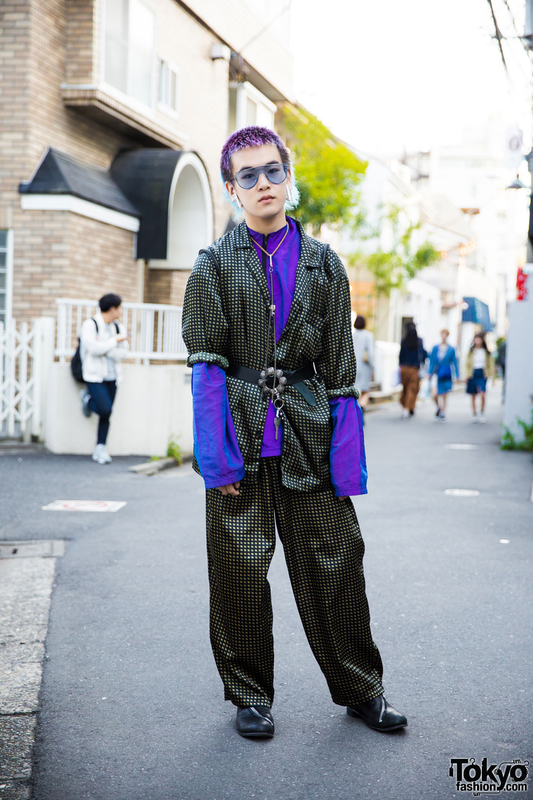 Harajuku guy in resale pajama fashion with zipper necklace, zipper boots, and zipper bag. 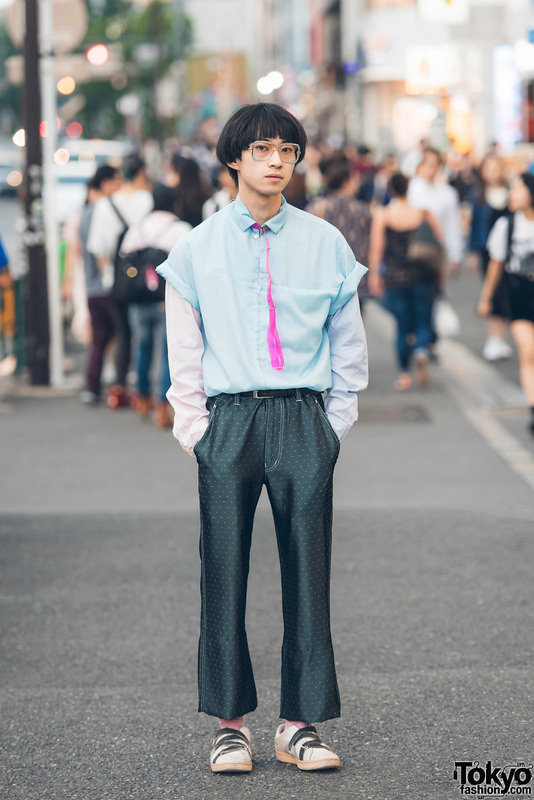 Harajuku guy in eclectic vintage and streetwear fashion wearing a zipper shirt over a long sleeve shirt, polka dot pants, pink socks, sneakers and a neon pink belt used as a necktie.